TOPXIGHT LA is a joint venture between Valmiki 504 LLC and TOPXIGHT Labs LLC, a New York based enterprise software incubator with primary expertise in immersive data visualization, active learning spaces and indie-commerce. TOPXIGHT LA operates a software development center with a focus on machine learning, data analytics, and cybersecurity. It also brings all of TOPXIGHT's expertise in other areas of software development to Valmiki 504 companies, as well as providing hard technology assets to these companies. This keeps revenue in Louisiana instead of being sent out of state which would happen with most vendors for startups. Alphabeta Inc. aims to demystify and simplify the professional investing experience for a wide audience using patent pending data visualization and game-influenced interaction technology that gradually unfolds complexity in a virtual environment. Assistant provides a visual collaboration environment for passive and active investors and their clients. Sandbox uses augmented intelligence and indie-commerce for active research and strategy creation. Alphabeta Guide is specifically targeted to students and trainees teaching investing strategies and underlying theory through game-base lab experiments. 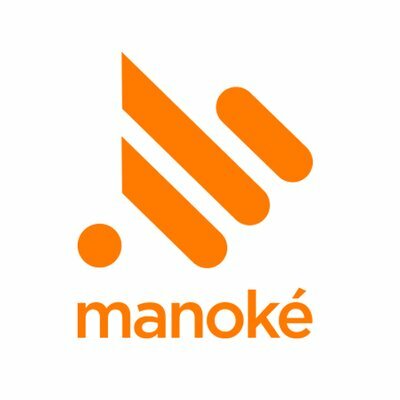 Manoke Inc. leans on indie-commerce to bring to the forefront the notion of active participation for the music indutry. While the industry is concentrated on streaming to the passive-listening consumer with shrinking margins, Manoke targets the smaller but higher spending segment of active participants - learners, amateurs, and semi-professionals. Manoké Stage is a play-along and karaoke app for guitar, bass, keyboard, and lyrics . Music lovers of all skill levels can practice and improvise with a personal orchestral accompaniment. Manoké Studio allows music professionals to create content for users, protects author copyrights, and generates royalty payments across multiple monetization channels. Teachers can record and publish custom content for their students and provide a richer learning experience. Cythereal Inc. is an example of academic partnership and technology transfer to create commercial value from core research. Originating at the University of Louisiana in Lafayette and the DARPA genome project, Cythereal provides augmented intelligence to deliver an early warning system for cyber attacks that identifies the attack pattern, the source of attack, and the nature of the attack. Cythereal Magic uses quarantined malware data across firms within industries, identifies the genome of individual malware to group them, uses that correlation to assess new malware in real time, and provides threat intelligence dashboards that give an accurate picture of the current threat level in any organization. Scenehound is an app that uses real-time data to "crowdfind" a perfect restaurant or bar. By sharing, rating, and viewing the scene at particular venue, users are able to plan according to their mood. Eliminating the need to scope out a place in person, Scenehound lets you know if the crowd is hopping or low key, allowing you plan the perfect evening.